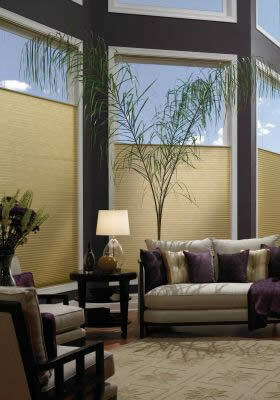 Cellular (Honeycomb) shades are one of todays most versatile and fashionable window coverings. 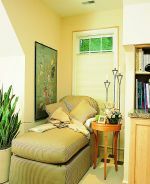 The unique cellular construction provides excellent insulation, which helps reduce your heating and cooling bills and well as superior sound absorption. Choose from over 150 sizes, colors and fabric selections to fit your life and style. 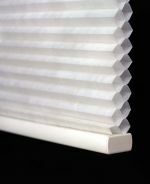 They come in single or double cell construction and can be custom cut for arches and other specialty shapes. 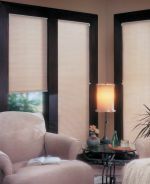 They range from light-filtering to room-darkening, are stain-resistant, washable and wrinkle resistant.